This is the first post in a three-part series that identifies not only the “how” of collecting family stories but the “why.” Read part two and part three. 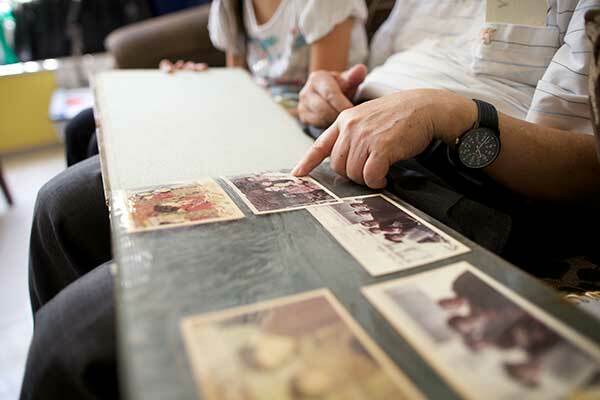 Collecting memories and stories from your family can be overwhelming. Let’s face it, life can be busy, and it’s challenging to carve out the time to call or visit family members. But in this age of technology it doesn’t have to be difficult to reach out to our family members—it just takes a little creativity and connection. Perhaps your grandma lives in another city, or even another state or country. You desperately want to collect her memories and stories before it’s too late, but she lives so far away, and you have a family to take care of and you work full-time. Never fear, you have people and tools at your disposal that will make collecting Grandma’s stories a breeze—and it’ll be fun to boot! To stoke the fires of collaboration in your family, sometimes you’ve got to create “cousin bait.” There are many ways to do this, but an easy way to get started is by using social media. For example, you could start a Facebook group that is all about Grandma, or whoever you’re hoping to get stories and information about. Tag everyone related to your grandma, or even those of your friends who know her. Scan and post a photo of Grandma and share a brief memory you have of her. Then challenge your family members to do the same. It’s simple. You’ve just created “cousin bait” and have taken the first step to crowdsource your family history. You could also try using Pinterest, Instagram, Google Messenger, YouTube, Chatbooks, and VideoStar. The possibilities are vast and exciting! Putting all of the stories and memories of your loved ones in an accessible place is a good idea. Make a folder of family memories in Google Drive or Dropbox and then share it with your loved ones. Make sure to include all of your family pictures, information, and memories in the folder. Hashtags are a great tool you can use to help others locate posts connected to your grandma on various social media platforms. Create a unique hashtag and use it whenever you post about Grandma, and encourage your family to use it as well. A surprising thing happens when you have many people sharing memories of the same person—you get a clearer picture of who that person is. 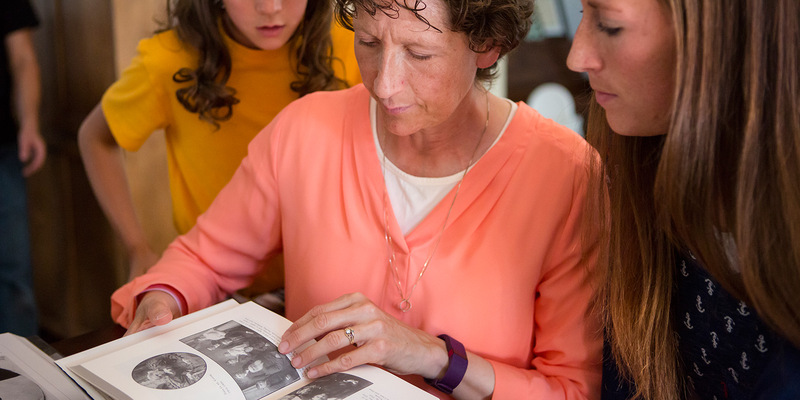 During their RootsTech 2017 presentation, sisters Amy Slade and Janet Horvorka shared their own experience with making family history a group effort. “Record the rich essence of your family and make the genealogy bug contagious [by] using the phones your family already carries with them.” This was the powerful message Slade and Horvorka left with RootsTech attendees. You can do these things during any downtime you have throughout your day—in line at the grocery store, at the doctor’s office, or anywhere you find yourself waiting for a few minutes. Quickly record a memory, tag it, and share it! Even if just a handful of your family members decide to contribute, you’ll be surprised at what you can gather about your family in a relatively short amount of time. 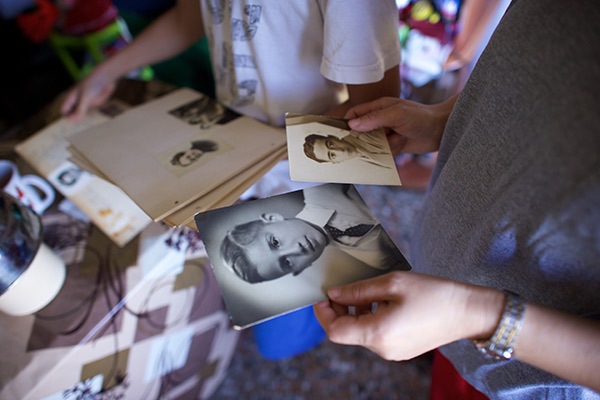 If you don’t have a strategy to follow, analyzing old family photographs can be a long, tedious, and sometimes frustrating process. However, with a little information and close examination, family photographs can lead to discovering new information about your ancestors.